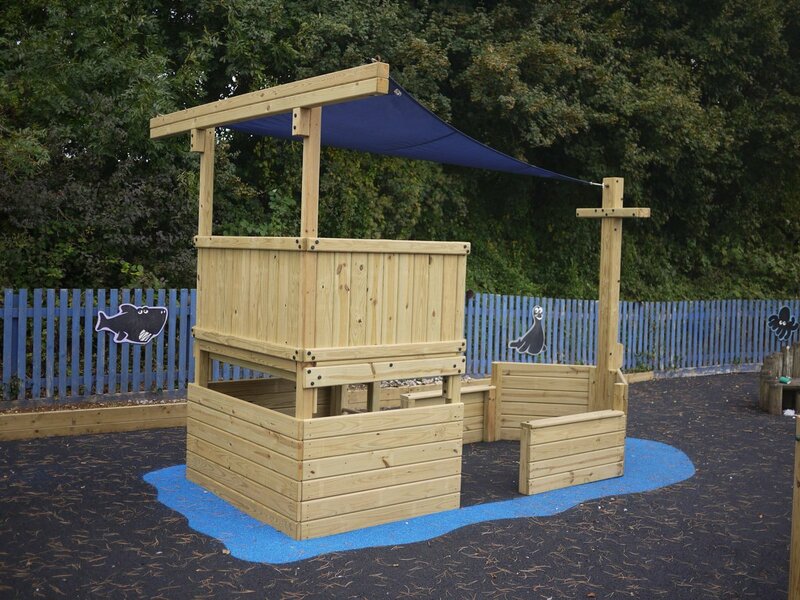 Here is one way to add a splash of colour and some alternative activities to your playground. Our activity panels are especially suited to younger children or anyone who doesn’t fancy climbing and sliding. And in a school playground they can be informative, educational and fun. For a modest cost you can also brighten up a gloomy, enclosed city play area with these play panels. They don’t take up too much space and they don’t require safer surfacing around them according to EN1177. As well as the visually inspiring pieces, we can also provide musical panels – ideal for school use. Whatever look you decide on, you can scatter our activity panels around the playground or bunch them together for more supervised activities. Below is just a small selection – please ask for more examples. Alternatively you can incorporate these panels into one of our multiplay clubhouse structures to add a splash of colour and some more interactive play activity . We are delighted with the pirate ship and locomotive and are really glad that we decided to go with the Homefront equipment, as it is really high quality.